During our last trip to Budapest, Hungary, we discovered an affordable and convenient accommodation alternative to hotels – Apartments! Compared to hotels, apartments offer more in terms of privacy, space and convenience without burning a huge hole in our pockets. However with so many apartments on offer online, you will never know if you are getting what is being advertised or if the room/apartment even existed! This is where sites like Wimdu would come in handy. In the “early” days, we have couchsurfing where anyone can put up a spare room or an apartment for rental to travellers like us and we have all heard of horror stories of unreasonable and unreliable owners. Now, Wimdu perform quality checks on the photos and description of the room/apartment put up by the owners so that travellers can be assured that they are indeed getting what they paid for. There is also a huge inventory of apartments (with real user reviews) put up at Wimdu for cities around the world, offering travellers with a good selection of apartments to choose from. For our trip to Amsterdam this time, we selected a spacious Canal House apartment at the Jordaan area offered at Wimdu’s site. It is located along the Brouwersgracht canal just 3 minutes by bus from the Central station and about 10 minutes walk to Anne Frank house. What’s most interesting is the history of the area and these canal houses – referring to the houses in the picture below, you will notice huge door-like flaps at all windows. These are actually shutters for these canal houses which were warehouses 100 years ago. Cargo boats will stop by the canal and workers would hook up their goods to a pulley which would then lift them into warehouses at each floor (which have all now been converted to residences and offices). Back then, there were no windows and the shutters would be closed to store the goods. There were no surprises when we checked into the apartment – everything is exactly the same as what’s advertised on Wimdu. There were clean linens and towels in the bedroom and hot water in the shower and the bonuses are the kitchen supplies where guests can help themselves to the cooking oil, salt, sugar and even pasta to prepare dinner! We even had a backyard where we could chill out after a long day of travelling around Amsterdam. This apartment almost looked as if it just came out of an IKEA catalogue – almost everything is IKEA-made even the fridge! If you need to do any laundry, there is even a washing machine! Feels just like home and it really did live up to Wimdu’s promise for travellers to live like a local in their listed apartments. Besides the facilities and amenities offered at an apartment, the host is just as important. 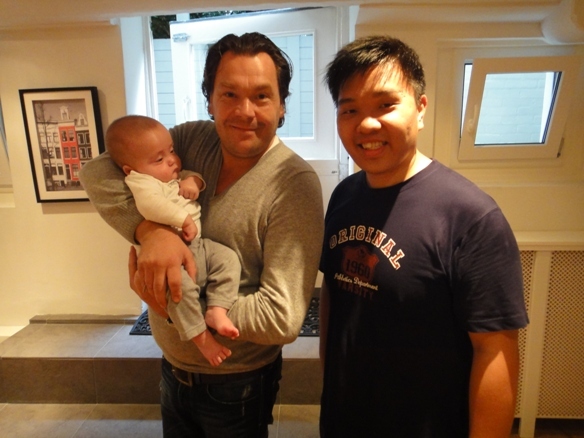 Our host, Martijn (see picture below – with his baby) is always helpful and just an email away. He works nearby so if there are any problems, simply drop him an email (using the free Wi-Fi available in the apartment) and he will pop by to check within minutes (if he is available). He is able to help you with good recommendations on restaurants and sights around the area so do tap on his knowledge of the area and Amsterdam to plan our trip around the city. On the map, Brouwersgracht might seem like walking distance from the Central station but don’t be fooled by it. Brouwersgracht is actually a very long canal and this apartment is situated on the far end of the canal so walking from Central station (with luggages) can be a very tiring and long process. Instead, grab a taxi from the Central station (it will likely cost about 7.50-8 Euros – Amsterdam taxis’ flag-off fare starts at 7.50 Euros) – some taxi drivers might say its walking distance but insist on it. Alternatively, you can take bus 21, 22 from Prins Hendrikkade (the main street in front of the station) and alight after 3 stops. From there, the walking distance to the apartment is much shorter. There are also lots of small cafes and shops and an Albert Heijin supermarket along Haarlemmerdijk (see map below) – just 4 minutes walk from the apartment. 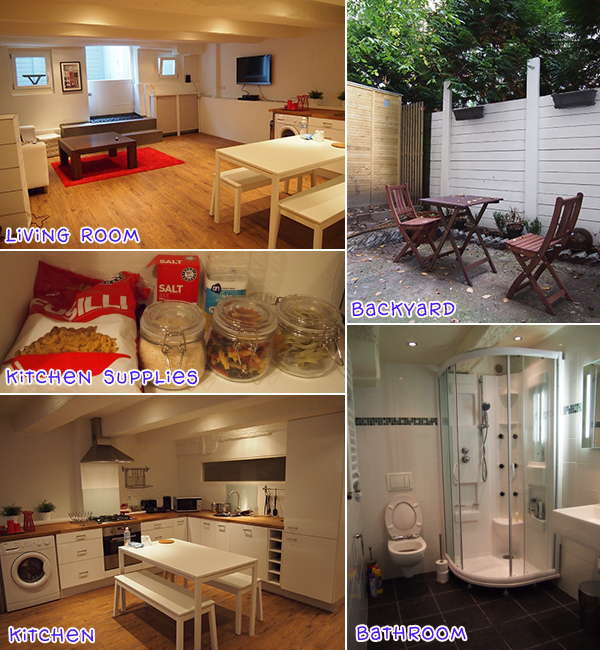 To book Martijn’s Canal House Apartment for your next trip to Amsterdam, check out: http://www.wimdu.com/offers/9ZPV3YFJ for availability and prices. Martijn also offers another studio apartment in the same canal house which looks just as good and cozy and you get a view of the canals from your dining table! Wimdu also offers a wide variety of apartments in Amsterdam and other parts of the Netherlands and you can choose your apartment based on your preferred location and number of guests. 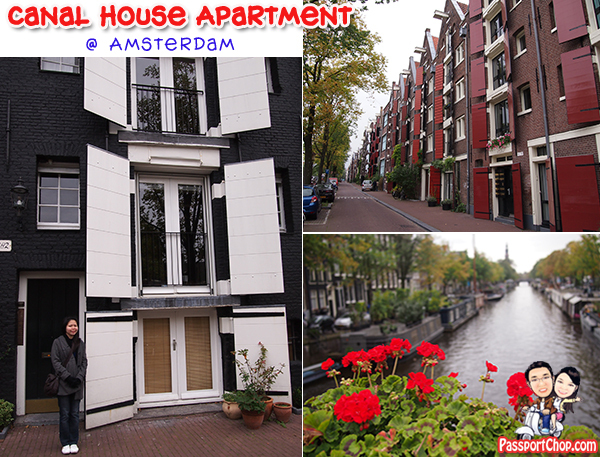 You can even choose to stay at a Houseboat (just like the locals) right in Amsterdam centre! This is fantastic!!!! I searched the Wimdu site and found many great places. I need to remember this site the next time I travel. I like your house very simple and elegant..
hello i found your site today and I have read some great articles over here. good day I just read your article and I wanna thank you for the perfect information in it! Please keep up the good work guys! Your apartment is simply super. i enjoyed to go through the post and the pictures, nice interiors , especially kitchen and furniture. nice tour through your house, i will with “its fabulous”. Thank your for sharing this post! I’m going to be visiting Hungary next year and I’m lucky to find your site! This is going to help me save! Can’t wait to get there! Have a great November! Nice post! Amsterdam is truly an a amazing place to visit. Your house is situated in a very nice environment and i think it’s very cool to live there. Thanks for touring us inside your home. Thanks for sharing this post! I’m planning to go to Hungary for the New year Eve and I’m happy that i found your blog! These tips will help me a lot! Can’t wait to be there! Hey thanks for this write up! If everything goes as planned I will be in Hungary for the New year eve! Great thatI found your blog these tips are coming really handy! Can’t wait to be there!